What are we supposed to expect of a sequel that jumps the console generation gap? 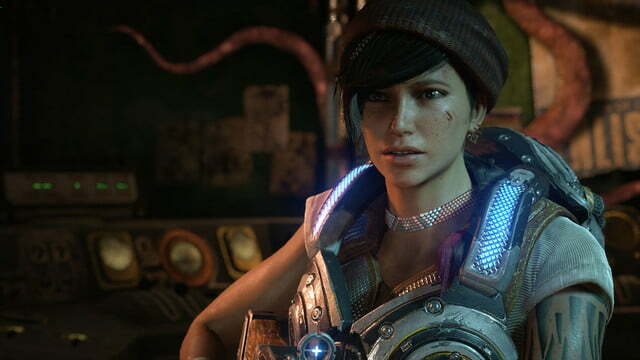 Based on Gears of War 4, the first game in the franchise made for Xbox One, the answer is to “stay the course.” Coming this fall, the first Gears of War game made for the Xbox One will offer a new narrative, but cling to the gameplay that brought fans to it, even with a new studio at the helm. 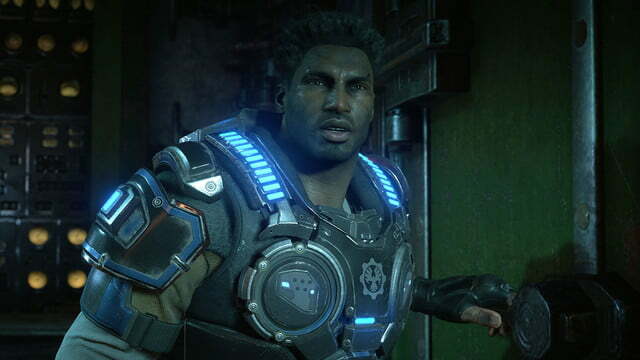 As you may or may not have heard, Gears of War 4 follows series protagonist Marcus Fenix’ son, JD, and his squadmates, Del and Kait, who have deserted the COG military. In the demo, the trio are trying to save their comrade, Oscar, who has been taken by a bug-like creature that may try to transform him into a new, mysterious kind of Locust. On the way, they encounter resistance strange, bone-white Locust-like creatures that hatch out cocoons of pink goo, which seem to be everywhere. The series basics feel as tight and responsive as they ever have. The new cast is critical for setting the game’s new tone, which feels darker and more frantic. In the original trilogy, one of the characters always had a sense of what was happening, whether or not you, the player, had any idea. The new team, either because they’re younger or confronted with new horrors, seem less sure. While it’s never exactly hard to figure out the way, that sense of insecurity informs the game’s overall tone, which feels dark and horrifying. 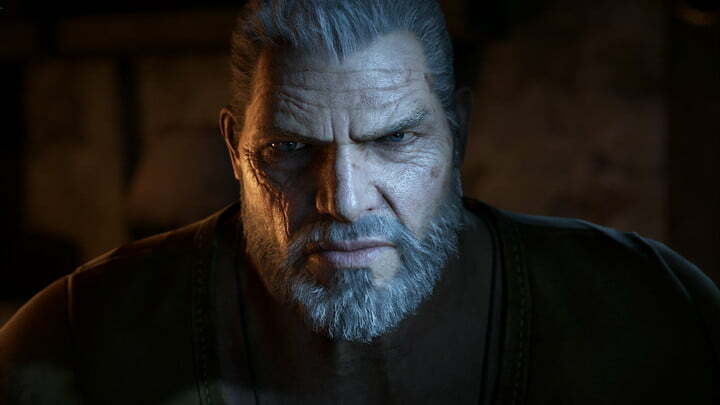 Though the characters and tone are different, the vast majority of the Gears of War franchise remains mechanically in place for Gears 4. 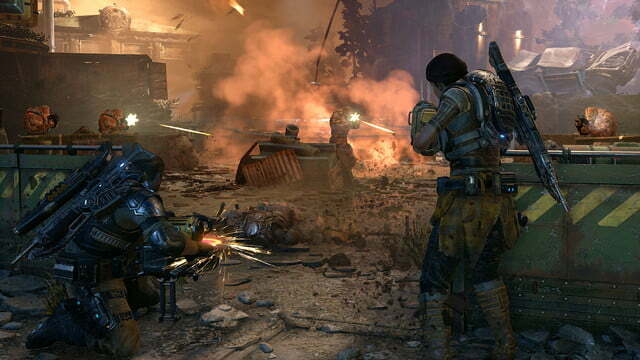 Players, flanked by their allies, will shoot, chainsaw, and active-reload their way through scrambling, ape-like wretches and Locust soldiers. 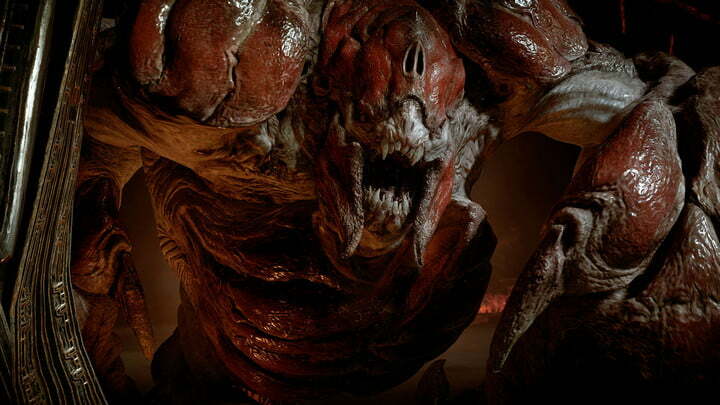 Developer The Coalition, Microsoft’s studio built to take over the franchise from creator Epic Games, has retained its predecessor’s attention to technical detail. The series basics — shooting, running, and snapping in and out cover — feel as tight and responsive as they ever have. Similarly, the enemy AI is impressively surprising. The Locust are capable of using many of the same tricks you can, including mantling over cover to kick and stun you. There are a few new wrinkles, of course. At one point, JD picks up a new weapon, the saw-spewing ‘Buzzkill’ launcher, which fires spinning blades that ricochet, potentially opening the door for skilled players to angle shots around cover. The demo also introduces a new enemy — a giant bug called a “pouncer,” which hops on top of cover and then leaps on you or your allies, pinning you down until someone shoots them off … or they eat you. 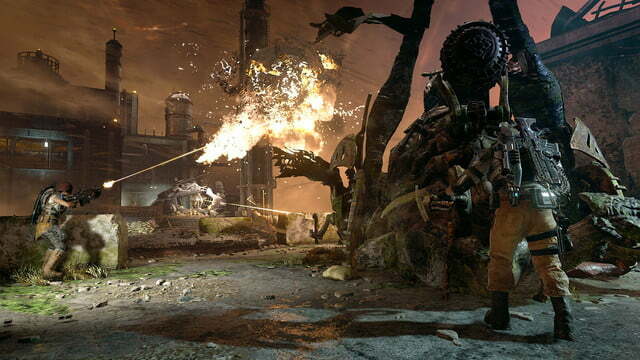 Gears 4 also brings back a mechanical concept from the original Gears, the enemy-generating “emergence” hole. Rather than a literal hole, the new locust creatures grow out of nests, which look like giant craters in the ground. 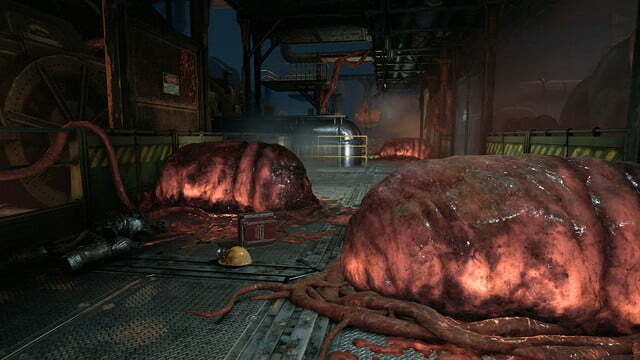 As in the original Gears of War, you can lob a grenade in the nest, which also doubles as natural cover, to “kill” the nest and stop it from spawning more creatures. Developer The Coalition hasn’t given up on playing with the series’ standardized rules, as well. JD can shoot Locust cocoons down from the ceiling to use as make-shift cover to avoid fire. Using them that way can be a risky proposition: The cocoons explode after taking enough damage, hurting and stunning you. Of course, you can also try to time it so you drop the cocoon on an enemy’s head. 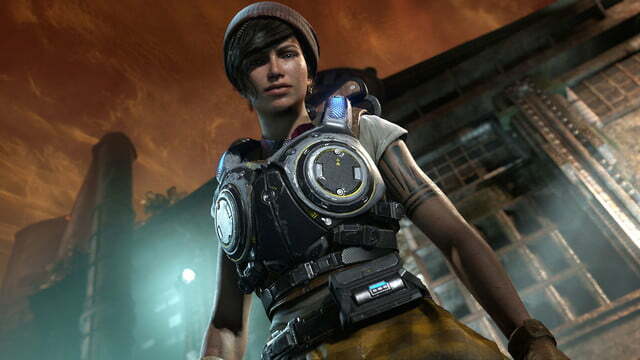 Gears of War 4 offers less innovation than we hoped for, but it is a testament to the series’ staying power. 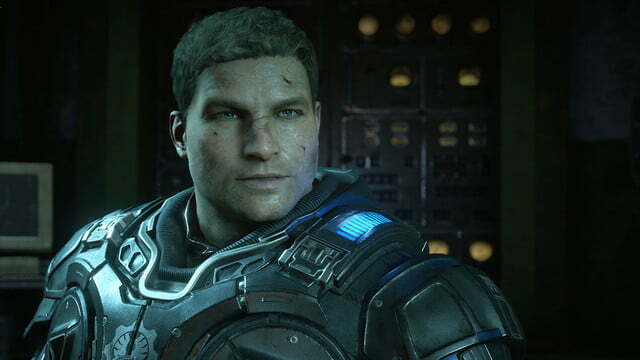 After a decade of Gears, this new adventure is still set to be one of 2016’s best shooters. 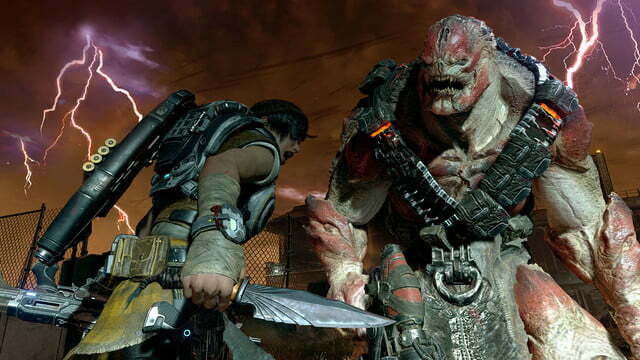 Gears of War 4 will hit Xbox One and Windows 10 October 11.